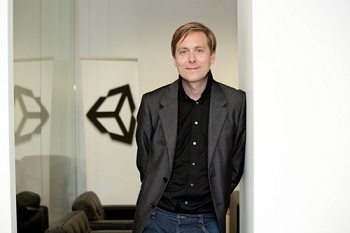 Unity Technologies CEO David Helgason believes Microsoft intends to support indie developers. It might be safe to say that Microsoft doesn't have the best relationship with independent developers. While the Xbox 360 and the Xbox Live Marketplace have helped several indie games find success, recent years have seen Microsoft make decisions that have, on several occasions, angered developers. This has led to more than a few voices criticizing the company for its sometimes obstructive stance towards indies, with some going so far as to brand Microsoft as being "institutionally incompetent". According to David Helgason, CEO of Unity Technologies, however, that's not the case. Microsoft's recent deal to bring Helgason's Unity Engine,a popular tool among indie developers, to Xbox One has him convinced that the company intends to support smaller developers. "It's hard to comment specifically on Microsoft's strategy, but, we believe this collaboration is a clear indication on how much they value the community and the potential it can bring to the platform," he said. "We will continue to push hard to ensure that the Unity development platform serves to level the playing field and give indie devs all they need to be competitive and succeed in this space." There are likely those who would disagree with Helgason's sentiments. While it is certainly important to have the tools to make games for a new platform, it's arguably more important to have what you need to help said games succeed. Decisions like the one to dissolve its Indie Games channel on the Xbox One could conceivably make it more difficult for independent developers to turn a profit on Xbox based projects. It begs the questions of why, if they won't make money selling on your platform, you think they'd even try.